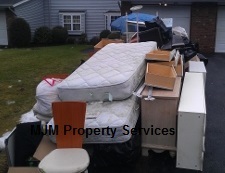 Professional full-service junk and debris removal is available for your home, apartment or business Our junk removal Middletown NY service is available for a very wide assortment of items including: carpets, appliances, scrap metal, tires, televisions, and other unwanted rubbish. Did you recently invest in new furniture and are now not sure what to do with the old pieces? Call and have them taken out of you way by a professional junk removal company. ​​When you hire our services we bring our own men so that you don’t have to worry about heavy lifting. This makes the entire process very easy for you. Now you don’t have to worry about even carrying the junk. You just show us where it is and we will take care of it.